Flip a coin. If heads, this attack 1-hit kills the opponent. If tails, this attack does 200HP to 2 of the opponents pokemon. 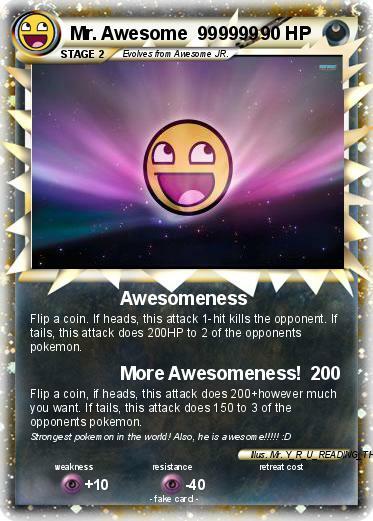 Attack 2 : More Awesomeness! Flip a coin, if heads, this attack does 200+however much you want. If tails, this attack does 150 to 3 of the opponents pokemon.